Valerie Leberichel, Miu Miu’s communications & external relations director, has personal style in spades—the Aurélie Bidermann ring is beyond. Oh my! The ring and sunglasses combo! The ring, the sunglasses, her whole look is beyond. 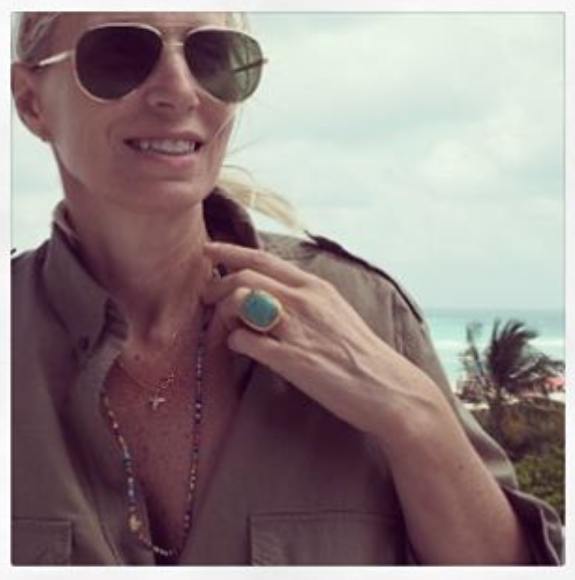 I love the simplicity of her look – the sunglasses and ring are beautiful with her blonde hair and shirt.